What do you understand by the term Apache Tajo? Initially, a South Korean infrastructure company, Gruter has started Tajo, later on the contributions to the Tajo project came from experts from Intel, Etsy, NASA, Cloudera, Hortonworks. In Korean language, an Ostrich is referred as Tajo. 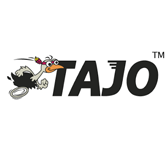 A top level open source Apache project was granted to Tajo in the year 2014. The tutorial covers the basics of the concept of Tajo, the cluster setup, Tajo shell, SQL queries. It also covers the integration of Tajo with big data technologies and some illustrations. What are the prerequisites required and who are the audience for learning the concept of Apache Tajo? Good knowledge and understanding of Core Java, any of the Linux OS and DBMS are required to understand the concept of Apache Tajo.